The field of shoulder endoprothetics has undergone a rapid development in the last years. The purpose of the study was to provide an overview of the development of shoulder arthroplasties in Germany from 2005 until 2012. 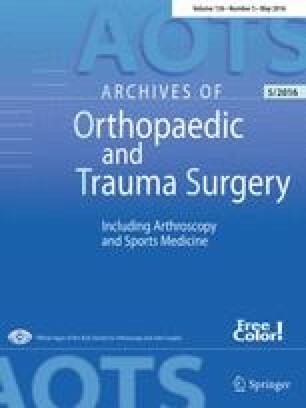 This study hypothesized that the surgical procedures of the shoulder joint is still increasing and have not reached a plateau until 2012. Data of the German federal statistical office from 2005 until 2012 were analyzed to quantify hemiarthroplasty, anatomic total shoulder and reversed total shoulder arthroplasty rates depending on age, gender and main coded indications. Procedure codes and diagnosis were analyzed for each year. Comparative analyses were used to visualize the difference between the types of shoulder endoprostheses. A total number of 139.272 shoulder arthroplasties were performed between 2005 and 2012. Total should arthroplasties have increased continuously until 2009. In 2009 more total shoulder arthroplasties have been performed than hemiprothesis implantations, which have culminated in 2008. All in all, women have been treated 3-fold higher than men regarding hemiarthroplasty, total shoulder arthroplasties or reversed total shoulder arthroplasties. Under the age of 60 years the majority of treated patients were male. Since 2005 shoulder arthroplasties are still increasing in Germany, whereas a slight reduction could be detected for shoulder hemiarthroplasty from 2009 up until 2012. Meanwhile total shoulder arthroplasties and reversed total shoulder arthroplasties are still increasing. Women have experienced a 3-fold higher hemiarthroplasty, total shoulder and reversed shoulder arthroplasties than men except for individual younger than 60 years. The authors did not and will not receive any financial benefit in any form concerning the subject of this article. No benefits in any form have been received related directly or indirectly to the subject of this article. The study was approved by the Ethics Committee of the Medical Faculty of the University of Cologne (reference number 13-099).